Literacy researchers at all stages of their careers are designing and developing innovative new methods for analyzing data in a range of spaces in and out of school. Directly connected with evolving themes in literacy research, theory, instruction, and practices—especially in the areas of digital technologies, gaming, and web-based research; discourse analysis; and arts-based research—this much-needed text is the first to capture these new directions in one volume. Written by internationally recognized authorities whose work is situated in these methods, each chapter describes the origin of the method and its distinct characteristics; offers a demonstration of how to analyze data using the method; presents an exemplary study in which this method is used; and discusses the potential of the method to advance and extend literacy research. 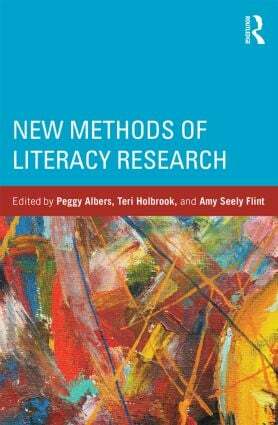 For literacy researchers asking how to match their work with current trends and for educators asking how to measure and document what is viewed as literacy within classrooms, this is THE text to help them learn about and use the rich range of new and emerging literacy research methods.